OMG Posters! 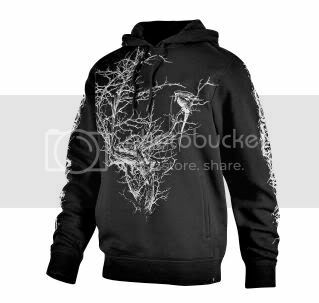 » Archive Aaron Horkey Adidas Clothing Now Available - OMG Posters! 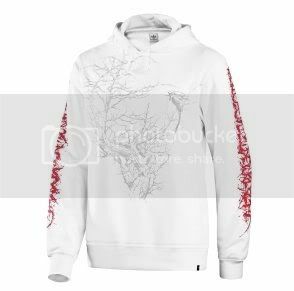 Though they came out awhile ago in Canada, the clothing Aaron Horkey designed for Adidas just finally became available in the United States. 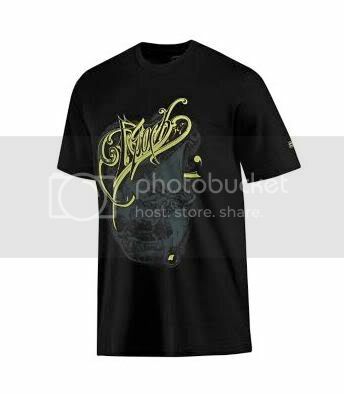 No sign of the shoes yet, but you can buy the “Epoch” t-shirt for $25, or the awesome hoodie design (in white or black) for $65. Visit ShopAdidas.com. I worked very hard to track down these Horkey shoes and this is the only guy in the US that got me the right answers. I have ordered my shoes as of a month ago. This guy has the connections and took care of me. He will take of you as well. where do they have these in canada? The whole collection was on the Canada Adidas shop quite awhile ago. They wouldn’t ship outside of Canada though. I got a black hoodie…super cool! But…can any one tell me what the print on the sleeve says??? Thanx!!! I’d easily drop $100 to have that hoodie again. Still have the first one I got in 2009, bu its in rough shape. I just about a month ago noticed the AHORKEY signature in the art and found this page. The damn thing is impossible to find now. le sigh.